At Stone Dermatology, we provide the highest expertise of specialized medical and surgical skin care for our patients in a relaxed, comfortable environment. We offer a variety of procedures including mole screening, skin cancer removal, wart removal as well as treatment for acne, rosacea, psoriasis, hair loss, and many other skin related issues. We also offer cosmetic dermatology procedures including laser hair removal, Botox, dermal filler, laser facials, Latisse, spider vein treatments and chemical peels. For more information on the services we provide, visit our Services pages. Dr. Richard Stone was born and raised in Provo, Utah. He graduated Medical School at the University of Utah and finished his residency at the highly acclaimed Dermatology program at the University of Miami. Upon completion, he returned to Utah where he has been practicing Dermatology for the past 36 years. Dr. Stone enjoys serving the community and providing his knowledge and expertise in Dermatology, to his patients. Their medical needs and concerns are his first priority. Melissa Wroblewski NP-C, is a Nurse Practitioner who specializes in dermatology and medical aesthetics. Prior to working in dermatology, Melissa worked as a Registered Nurse and as a Nurse Practitioner in the Emergency Department. 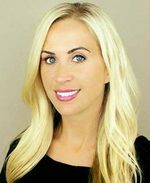 In addition to providing medical dermatology, Melissa also performs cosmetic procedures including; dermal fillers, Botox, Kybella, Sculptra, PRP, vein removal, and laser skin resurfacing.